Characteristics: Glossy leaves with grey-green mottled centres and bright golden-yellow margins. Flowering: White flowers from May to June. Red berries if it has a male partner. Height and Spread in 20 years: 6m / 5m. Compact, conical habit. Soil: Moist, well-drained, humus-rich, moderately fertile soil. The Golden King Holly is a small evergreen tree that offers glossy green leaves with beautiful golden yellow margins. The colder the weather, the deeper the yellow colour becomes. Despite the name ‘King’ which is decidedly male, this is a female plant. It produces lovely small white flowers in May to June. If it has a male companion close by to pollinate it, the tree will produce lovely round red-brown autumn berries that deepen to a bright red. It is fully hardy and thrives in full sun or partial shade. The tree will grow to around 6m in height with a spread of about 5m. It prefers well-drained soil that is humus-rich and moderately fertile. It will tolerate urban pollution and open exposure in coastal settings. This low maintenance plant is ideal for gardens of any size. The flowers attract insects, bees and butterflies and the berries offer winter food for birds, bringing life and movement into your living space. If you want to give your plant some love and care, in late spring you can remove any branches which are misplaced, diseased, crossed or dead. You can also trim off any foliage that has reverted - look for leaves that are all-yellow or all-green and carefully remove them. 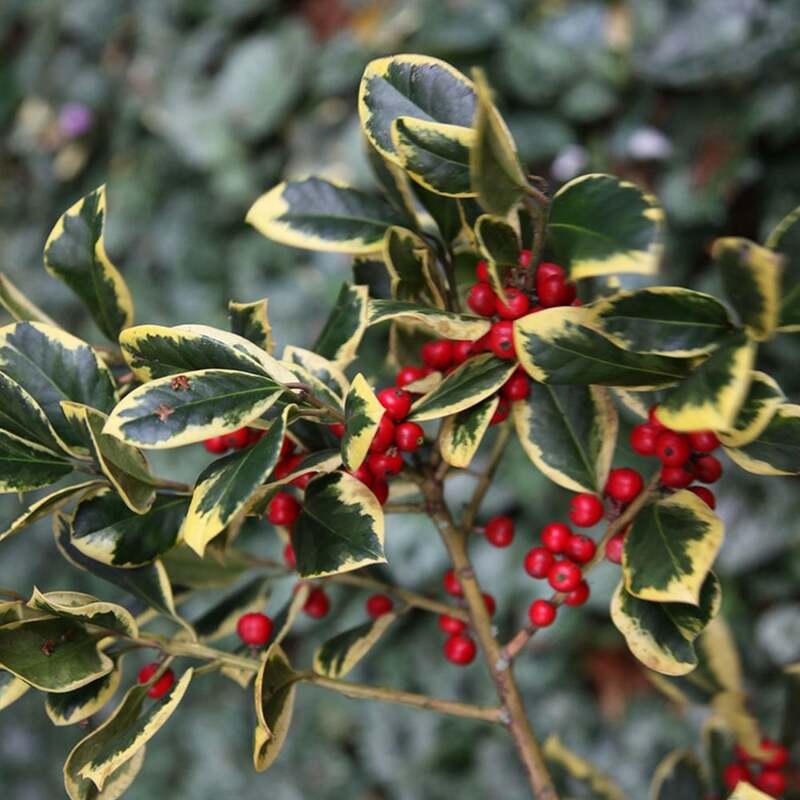 Use the Golden King Holly to brighten up a dull corner in a garden. It also makes a lovely shrub with all-year round colour and interest. It is perfect for screening and hedging and looks great in a mixed border.